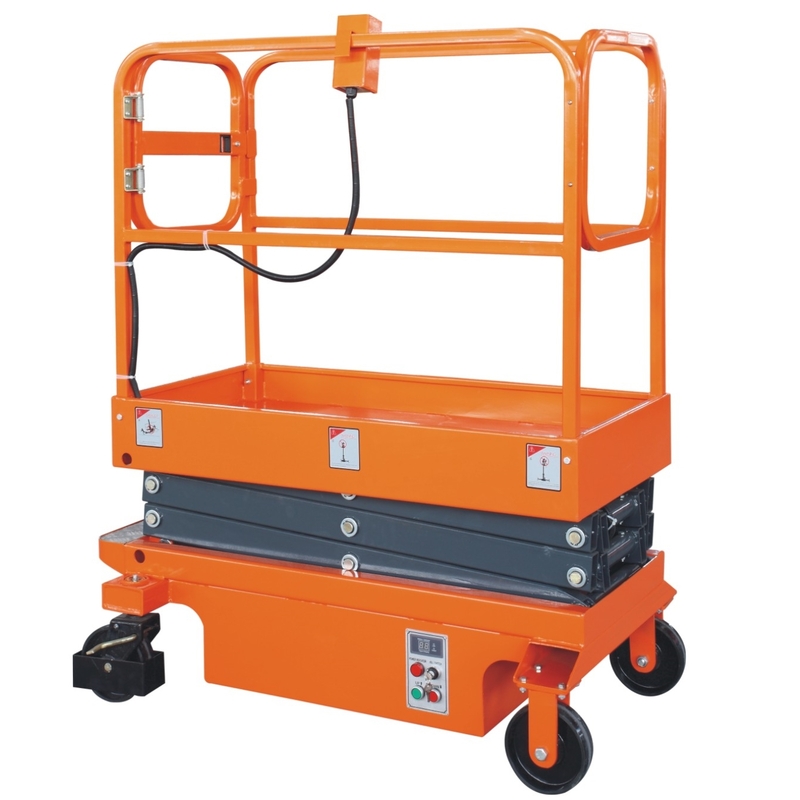 SESP3.0 is a mobile work platform allowing the user to work safely up to a working of height of 5 metres. Semi-electric work access platforms are often used in areas within Shopping Centres, Hospital, Warehouses and Schools, where the safety of the operator and those around them could otherwise be compromised. The platform is powered by a mains rechargeable 12 volt battery and it has a built-in charging unit. Other features are a level indicator, safety brackets and an emergency stop. Price includes a 6 month LOLER certificate – please allow an extra day or two for this.